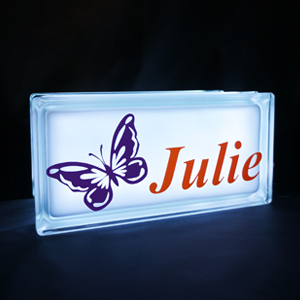 The butterfly is a symbol of transformation and joy, lightness and creativity. 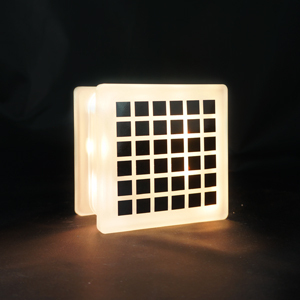 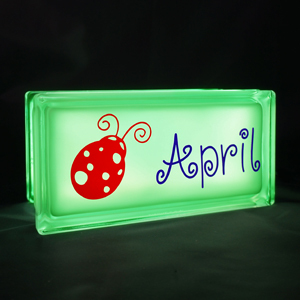 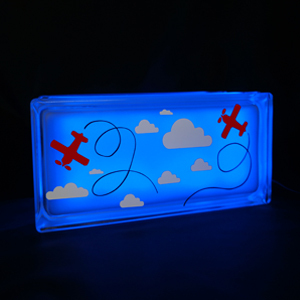 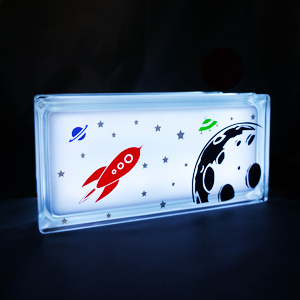 Bring joy to someone and playfulness to your room with this beautiful LED glass block light. 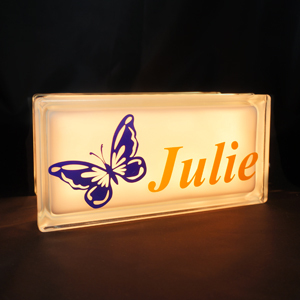 Custom made with a name, it will make a lovely gift.